the lovely countryside we have in the North of the UK. wedding day also create some stunning memories in both photo and video. 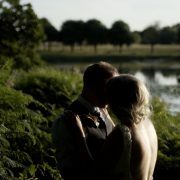 Being able to film a couple who are happy, laughing and enjoying themselves makes a videographer’s job so much easier. sometimes and understandably a couple can be anxious and even quite stressed on their Big day and while this is to be expected to some extent, my advice to all the couples I meet with before the Big Day is to simply relax and enjoy their wedding- after all it’s all about them! Jade and Andrew were a delight to film, they were both very relaxed and determined to enjoy their day. I have Filmed quite a few weddings in Cheshire in 2018 and have a number booked in for 2019- in really does seem to be a popular choice of county for couples to get married in and I have to say it’s one of my favourite counties in the North West. in his presence and he really goes out of his way to make a Bride feel relaxed and almost unaware that he is there. University he went on to grow his Business and within just 2 years he was Booking 58 weddings a year. mean a saving on what a couple ordinarily would pay to book a separate photographer and videographer. As a result we have now booked a number of weddings together for both 2019 and 2020 and the package idea seems to appeal to lots of couples. What is obviously when you listen to Ryan is the passion he has for creating stunning Images. With there being so many photographers in the marketplace as there are videographers, particularly in the Northwest, to stand out your have to develop your own unique style. I mentioned some of the great wedding venues I have had the pleasure to film at and what my observations were as a wedding supplier working in these venues. 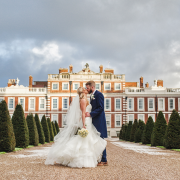 I talked about Knowsley Hall in Prescot and just what an amazing venue that is! In this Blog I would love to talk about another not quite as grand but equally charming wedding venue- Bartle Hall in Lea in the heart of Lancashire and the Northwest. I have only filmed one wedding at Bartle Hall but since filming that wedding last year I have since booked another two wedding that are taking place at this lovely venue. One thing that stands out about Bartle Hall is the beautiful surroundings it’s set in nestled in the heart of the beautiful Lancashire countryside. The grounds are lovely and depending on when you are planning to get married they accommodate outdoor wedding on the grass in front a small dedicated wedding outbuilding. Hana and stuart got married there last summer and their wedding was a delight to film not just because the venue was so nice but also because the staff at Bartle Hall are so attentive and professional- they even ensured that myself, my assistant and the photographer were all fed well. In fact they ensured we got our meals well before the speeches which to be honest can often be a problem in that understandably the staff are busy attending to the wedding party and having then ensured they are al well fed and happy will then if they remember provide some food for the videographer and the photographer but often this happens just about the time they need to get set up for the speeches hence I rarely have the time to eat it hence these days I come prepared with my own pack lunch. Yet Bartle Hall had ensured we got fed not too long after the guests were served which ensured we could eat our meal and still be ready bin time for setting up for the speeches which was great! Hence I am now looking forward to filming two more wedding there this year. guests in the evening when that clip came on with the Everton badge there was a cheer went up in the audience! 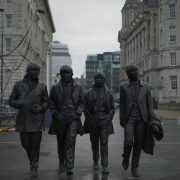 Liverpool is a City with a rich History and Culture and you can see that all around you. From the Liver Buildings with the distinct Liver Birds a top, to the Beatles museum and their statute on the dock all of which made it into Charlotte & Sam’s Wedding Video, which really made their wedding film A LIVERPOOL WEDDING VIDEO. The Albert Dock area of Liverpool is full of reminders about Liverpool Ship Building past and heritage in fact the world most famous ship is linked with Liverpool as the White Star Line Offices were based there. My approach to Wedding Videography is very much story based hence the reason I mentioned that I loved adding in Liverpool’s iconic landmarks in Charlotte and Sam’s Wedding Film- I love to tell a story with my wedding films and get those establishing shots of the place the couple have chosen to get married in- for Charlotte and Sam Liverpool was their home and they were proud Liverpudlians and I wanted that to come across in their wedding video. Have a look at their trailer I will post a link to it here and see if I had managed to achieve that aim. and the full version of their speeches film. 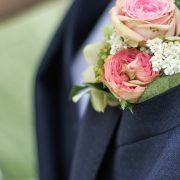 This Blog is all about how I film and edit a Wedding Ceremony. I film Wedding Ceremonies with 2 Cameras- one is static on a Tripod usually at the back of either the Church or Ceremony Room and the other is on a Monopod that I have with me up at the front or wherever I choose to move around. The reason for the 2 camera set up is that I like to have more than one camera angle to choose from in the edit, let me explain why. Often the main focus of the wedding ceremony as was this one in Dumfries is the Bride- usually the videography will focus his main camera on her after all she is the main even, the walk of the bride down the aisle is what everyone is looking forward to right? However apart from the Bride upon whom are all eyes there is also the Groom- his reaction to his Bride is priceless and that is something the couple will definitely want to see. This is where the second camera on a tripod at the back really comes in handy and makes the wedding video in that it is this camera that captures the Grooms reaction. In this Wedding Film that I shot in South West Scotland last July you can see the Bride walking down the aisle but you’ll see in the wedding video that it cuts to the Grooms reaction to his Bride walking down the aisle. This is the main reason why 2 cameras are vital when filming wedding videos. Apart from the Bride and the Grooms reaction the second camera also allows me to capture the guests arriving, the coupe together saying their vows which it’s nice to cut from the front camera to the back camera in the edit, again you will see this in wedding video I have posted below. There is a saying that; ” Sometimes you will never know the value of a moment until it becomes a memory..” This saying is so true! How many special moments in our life do we wish we could get to re-live? Myself and Ryan Williams a Photographer got together recently and we were talking about the value of what we do as a job in capturing people’s special moments in life. One thing that becomes apparent as a Wedding Videographer based here in the North West of England is that having your wedding filmed is now becoming more desirable than it was say 10 years ago. That I believe is in part because Wedding Films in general have becomes more watchable- what I mean by that is say 20 years ago a typical wedding video was about an hour long and consisted of mostly boring footage of guests walking about or people eating- not very inspiring! Now with the advent of the Digital Revolution not only have cameras improved in helping capture Cinematic looking footage but also editing software has become more affordable and accessible enabling would be film makers to create truly professional looking videos. So now the typical wedding film is around 20 minutes long but much more engaging to watch and much more movie like hence they appeal more to couples and have now come back into fashion. Will this be your Biggest regret? Having said all that I still hear the line that; “Not having a wedding film was my biggest regret..” Yes some couples allow their wedding budget to get swallowed up with so many things that by the time the budget is exhausted they no longer have enough funds in the pot to hire a wedding videographer and their Big Day comes and goes and they then echo the words above namely that they regret not having a wedding film. Some things that are a high priority on the couples lists of ‘must haves’ are things like; The Dream Wedding Dress, The Flowers, that amazing cake- and as important as those things are here’s the thing; that dress is worn for one day, the cake gets eaten usually in one day, those flowers wilt after the wedding but the wedding film that they may have chosen to forgo could have been the very thing in helping them re-live their wedding day over and over again for years and years and hey maybe even be enjoyed by future children? To me Videography and Photography are THE most important things to consider. 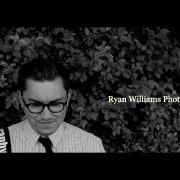 This is why myself and Ryan from RW Wedding Photography decided to get together and talk about the value of Photograph’s and Video for a couple planning to get married. Some couples may decide to let a family friend who has a decent camera take their wedding photo’s and maybe get some video footage from someone’s smart phone but the question each and every couple should ask is; HOW do I want my Wedding day remembered? Will some amateur photo’s really preserve those special moments? Will some Smart Phone video footage be something you will want to share with relatives and fiends that couldn’t make the wedding? In comparison, the cost of having a professional Photographer and Videographer document your wedding is often less than the Dress & Cake put together and remember the Photographer will capture the Dress and the Cake creatively so that you can enjoy them forever! 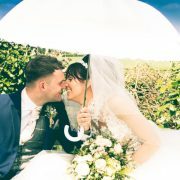 Wedding day the way you would like to remember it then please get in touch for a Quote. Back in April 2018 I was presented with a challenge- film a wedding in Liverpool on December 29th 2018 and edit the film on the same day and show it on a projector in the evening to all the 200+ guests at the wedding. Charlotte and Sam and contacted a number of wedding videographers in Liverpool but could not find any who wanted to accept this challenge. When Charlotte contacted me I must admit my initial reaction was the same, I was not keen at all! Why was I not keen on this idea? Well filming a wedding is a full on commitment that requires the videographer to be on his metal the whole day- a typical wedding day being around 12 hours in duration, so the idea of finding time during what is a very busy day to actually edit the wedding film trailer (4 minute film) is a BIG ASK! Especially when you consider that a typical wedding film trailer takes me about 4-5 hours to edit. My question was, where will I find 4 hours free during the day?? What made this challenge possible was that Charlotte & Sam’s wedding ceremony wasn’t till 3pm and this is what made the whole challenge possible. What I did was, a few days before the wedding I went to Liverpool Albert Dock area and filmed what we call in the industry the ‘establishing shots’ these are shots of the area and significant land marks and icons that would not only establish where this wedding was taking place in Liverpool City Centre but say something about the couple too. For example Charlotte had told me that Sam was a Big Everton Fan and in the wedding video you see a nod to that. Getting these shots ahead of the wedding day really helped because I was able to start the editing process before the wedding- choose some music and lay those clips in the timeline. In the morning I shot some Bride prep footage and by 11am was adding that footage to the timeline, so by the time I left where Charlotte was getting ready I had already about 2 minutes of their wedding film done! After the ceremony myself and the photographer headed over to the Albert dock to get some couple shots and the light was perfect just turning dusk and so some nice bulb lights on the dock. After filming couple shots I headed back to the Hilton Hotel and got set up for the speeches. Once those had been filmed I then had about 2 hours till the screening was scheduled. Hence I edited like mad to get footage from their ceremony a few hours earlier into the timeline and lo and behold we had a 4 minute plus trailer done- yay! I wanted to do a quick dummy run by connecting my laptop to the Hilton’s projector and audio system to ensure everything worked well and I am glad I did as I was struggling to get a full screen experience of the film with only part of the screen filled? When you are in a state of anxiety you often find that your brain doesn’t quite work correctly and I was struggling to figure out why this was the case. With some help from the staff and another videographer we thankfully quickly realised that it was my laptop settings that was causing the problem because I use a secondary monitor at home and hence the screen display is divided. Once we adjusted the settings we were in business and it was all systems go! Phew! “…We used Julian to film our wedding day. We had been really struggling to find a videographer who was able to produce a same day edit. He had never done one before but was happy to take on the challenge. Julian listened to everything we wanted, we had phones calls and email contanct before hand to make sure everything was in place before the big day. We can whole heartily say that Julian went above and beyond to make sure we had a trailer clip ready to play our evening guests. He even had time to help my dad play some clips and pictures during his speech. The end result surpassed all our expectations with the majority of our guests commenting on how breath taking the clip was and they were astonished he put it together in such a short space of time. We would highly reccomend Julian to any one who would like a really personable and professional videographer to film their special day. Having been born and bread in the North West of England I can honestly say the I love it and would not choose to live anywhere else. Being a Wedding Videographer in the North West I can honestly say that I get to film ant some of the nicest venues in the UK! Northerners are know for the friendly down to earth approach and this certainly helps when it comes to wedding. Having filmed the majority of my weddings in and around the North West of England this year I though I would write a series of Blogs about the venues I have worked in around the North West and just mention one venue per Blog that way give you enough information about that particular venue in an effort to help couples getting married in the North West to find a venue that fits with what they are looking for. Remember this is only my humble opinion as a wedding videographer I am not an expert on wedding venues but certainly can give you an idea on what certain venues are like. 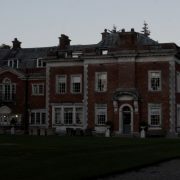 This is a very grand wedding venues that well sort of reminds you of something ‘Pride & Prejudice like, if you follow me. I have filmed a couple of times there within the last 12 months and can’t help to be impressed with this venue. Obviously this is from the perspective of a Wedding Videographer working at this venue so bare that in mind but these were my observations. I found the stay both friendly and professional. The were very much on the ball and as far as I could for the couples weddings who I filmed there and seemed to go very smoothly without any hitches. I do remember making a special request to move the Speeches to a certain location so that we could get the best shooting angle and control the audio and even though this posed a few challenges for the staff at Knowsley Hall I found that they were very accommodating and professional. In my next Blog I will talk about another Northwest Wedding Venue. I met with Shona & Lee about 8 weeks before their wedding at Eaves Hall and during the meeting I really got a sense of who they were as a couple. This to me is so important because if you do not get a sense of who a couple are together and as individuals then I don’t feel you can create a wedding film that will truly reflect them as a couple- this is a big reason if and when possible I like to meet up with my couples and if that is not possible at least have a FaceTime chat which is as easy as a phone call these days with, Skype, WhatsApp and FaceTime. Get to know the couple, if not by a meeting at least by phone calls, Skype calls etc. Also devise a questionnaire that and ask the couple to fill in that will give you a feel for them and help build a picture about them as a couple and as individuals. Balance is so important, as a film maker we want to tell stories with our films and like all good stories there is an arc. This is where the action rises and falls or you might say where the emotion rises and falls, for example if we keep our films all about laughter and dancing then that would not be a true reflection or record of the day, what about the solemn moments? What about the nerves? What about those sad moments- perhaps absent family and friends? Yes all these elements are essential to creating a truly balanced film. What I wanted to capture in Lee & Shona’s wedding film; 1. Lees larger than life ‘big kid’ personality and just how important family life was to Shona and Lee and what a great mum she was to her girls along with all the other elements I have just mentioned. Did I achieve my aim? 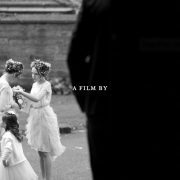 stunning wedding film for you to be capture all the emotions of your day. Maybe you are getting married elsewhere, then again please get in touch for a free no obligation consultation.